As the verse says, the devil is “seeking whom he may devour”. We must be alert and on guard against his devices, armed with faith and the Word of God. 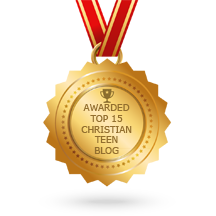 This entry was posted in A CLICK A BLESSING TODAY, CHRISTIAN LIFE AND THE WORD, CHRISTIAN NUGGETS, CHRISTIAN TAGALOG BLOGS, CHRISTIAN TEENS BLOGS, JOYFUL 'TOONS and tagged warriors. Bookmark the permalink.